Cinco de Mayo (Spanish for “fifth of May”) is a holiday held on May 5. It is celebrated nationwide in the United States and regionally in México, primarily in the state of Puebla. The date is observed in the United States as a celebration of Mexican heritage and pride, and to commemorate the cause of freedom and democracy during the first years of the American Civil War. 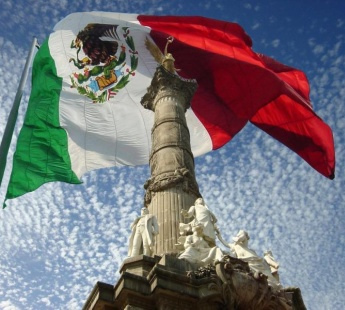 In the state of Puebla, the date is observed to commemorate the Mexican army’s unlikely victory over French forces at the Battle of Puebla on May 5, 1862, under the leadership of General Ignacio Zaragoza Seguín. Contrary to widespread popular belief, Cinco de Mayo is not Mexico’s Independence Day, the most important national patriotic holiday in Mexico, which occurs on September 16th. México is known for its delicious food, but this beautiful country has so much more to offer! 🙂 Being of Mexican descent, Cinco de Mayo to me is a mixture of celebrating México’s history and heritage, but it’s also about celebrating its present day culture, people, and achievements. And, like other countries, México has its share of struggles, but I hope that over time the country and its people will learn to work together and overcome their struggles.